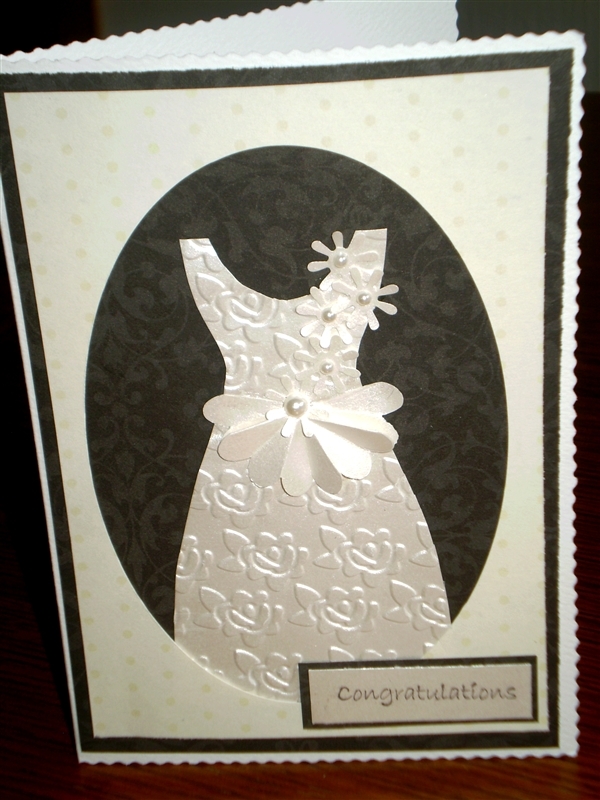 I have got a lot of inspiration from Pinterest and decided to try my hand at doing a wedding card, using a different range of techniques. 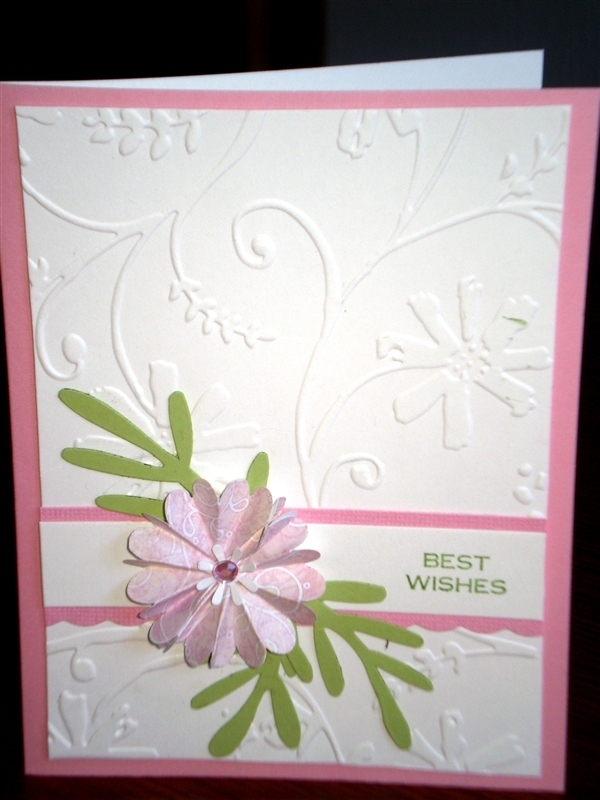 I have embossed a cream metallic paper with a cuttlebug embossing folder. Then on some scrap paper I have drawn a template for a dress and used that to cut out the shape from the embossed paper. 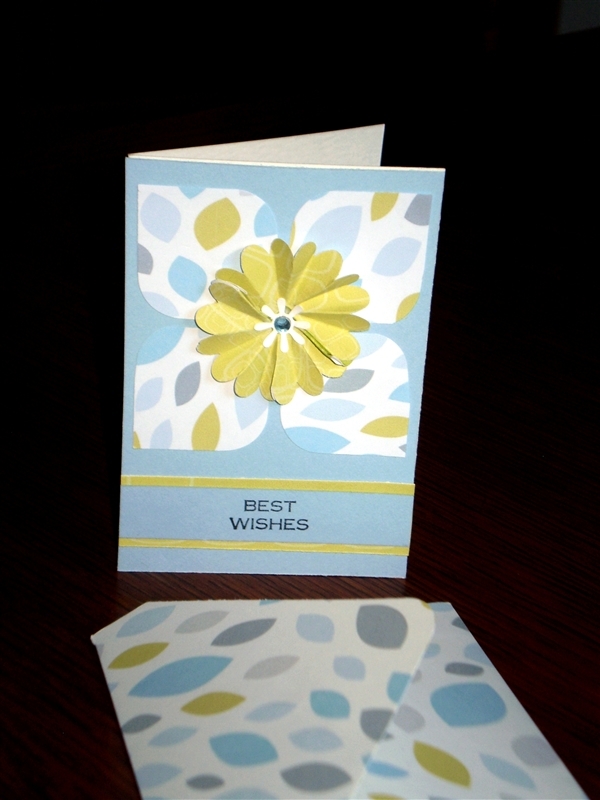 With my Creative Memories Blossom place’n’punch I have punch out a flower from some cream metallic paper. I creased all the edges and then cut one crease to the middle. I have pleated up the flower and then glued to flower onto the waist of the dress. I have made the small flowers out of using my Border Maker system twinkle chain cartridge. I have glued them with my CM glue pen onto the bodice. I then put some pearls onto the middle of the flowers and also the middle of the larger flower. I then cut a piece of Divine dark brown paper to back onto my cardstock. I cut an oval out of cream Divine paper and laid it over the top of the brown paper. I also trimmed the cream paper to make the brown paper mat the cream paper. I just eyeballed how much I trimmed it. 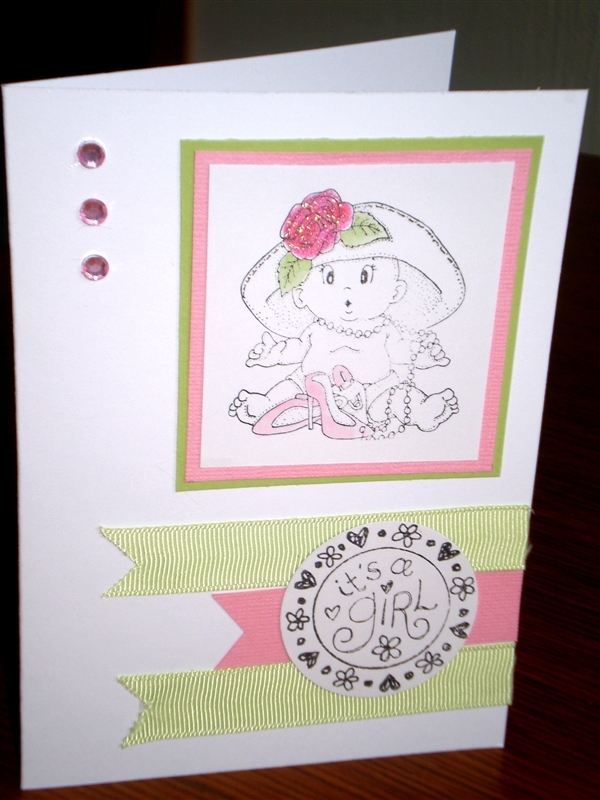 I have been making new baby cards and used the one stamp, two colours – green and pink – to create five different cards. I will have my cards for sale at World of Treasures Curios and Collectables at 324 Fergusson Drive, Heretaunga in Upper Hutt. 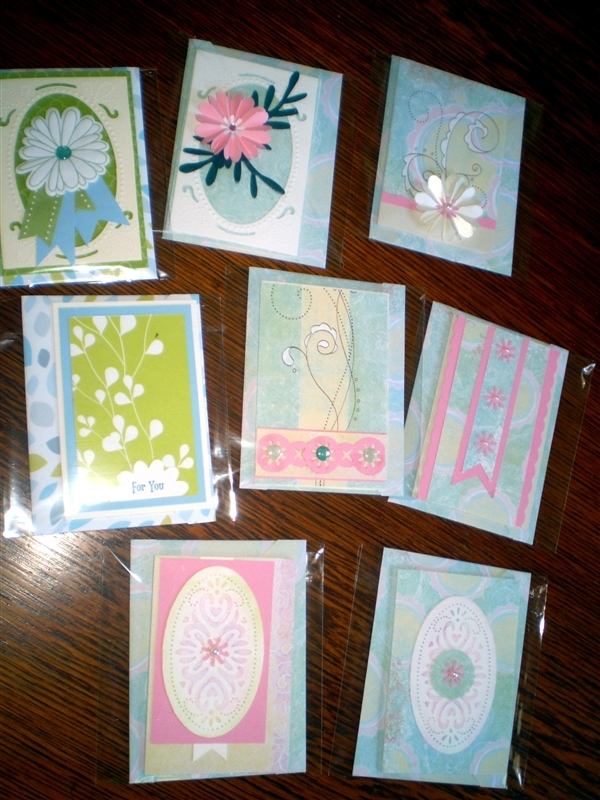 Here is a small selection that I have made for the shop. 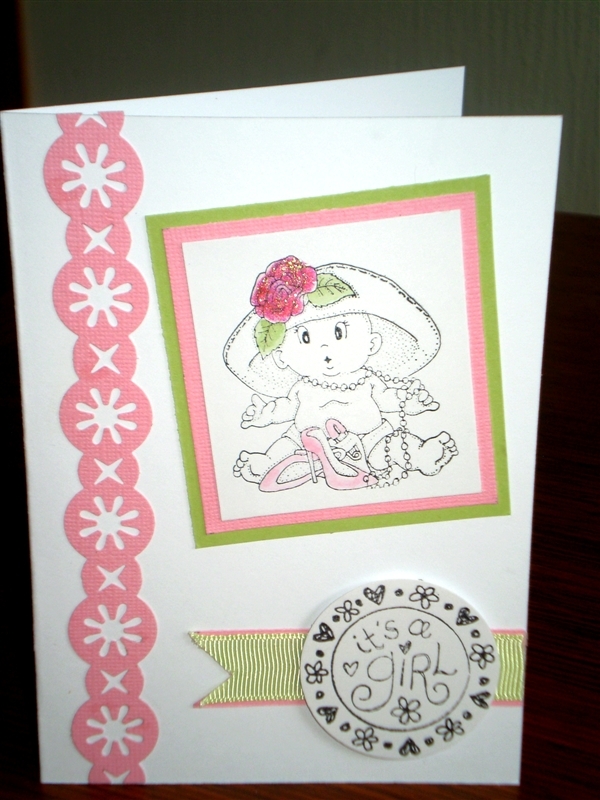 I have used a combination of Creative Memories papers and embellishments, cuttlebug dies and embossing folders and sizzex dies. 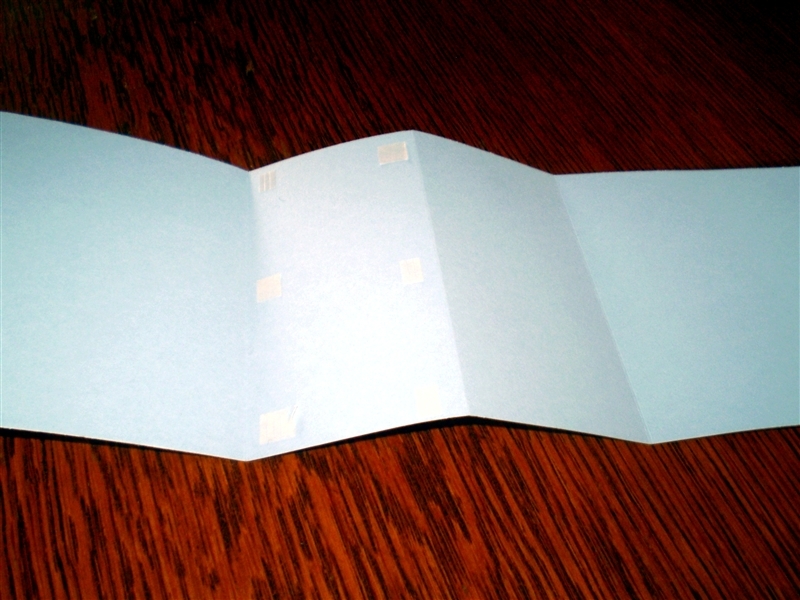 I have also printed off papers through my Storybook Creator to make the envelopes to match the cards. I have got the template through Pinterest. If you are up that way pop in and say hello to Pauline. She has a lovely range of curios and collectables to view. 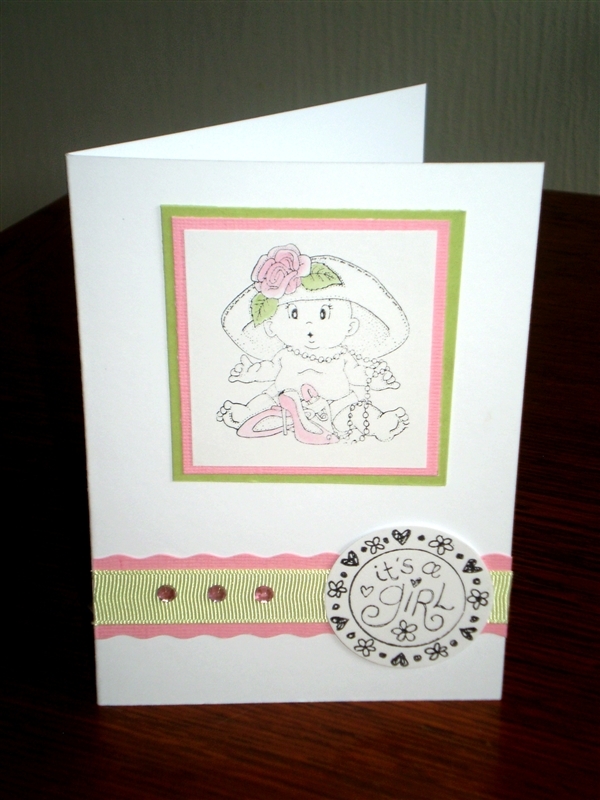 I have recently been to a VIP Showcase where one of the make and takes was an easel card. Here is my version using the Reflections range of papers and embellished with Reflections papers, flowers, ribbon finished off with the Enchanted epoxy stickers. 2) Using a scoring blade of the 12 inch rotary trimmer score at 4, 6 and inches. 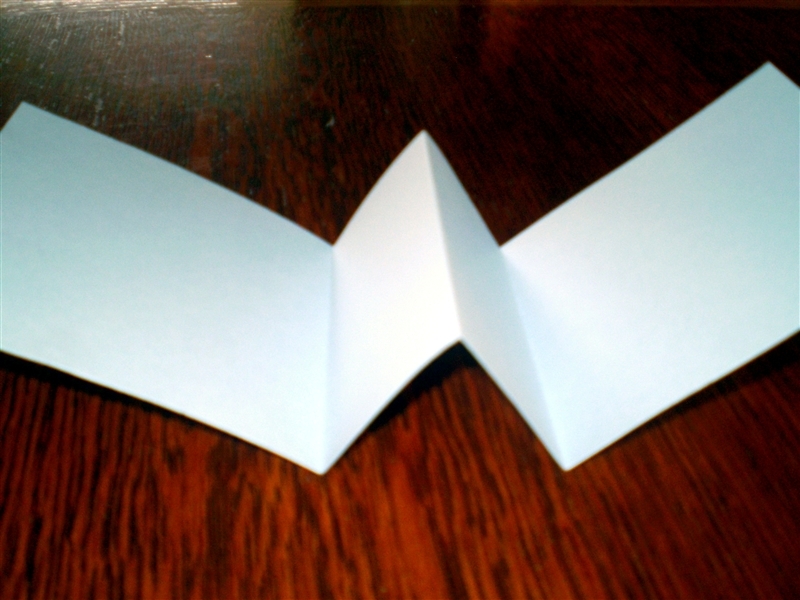 Fold along the score lines – like an accordion fold. I then adhered the second panel onto the top panel. 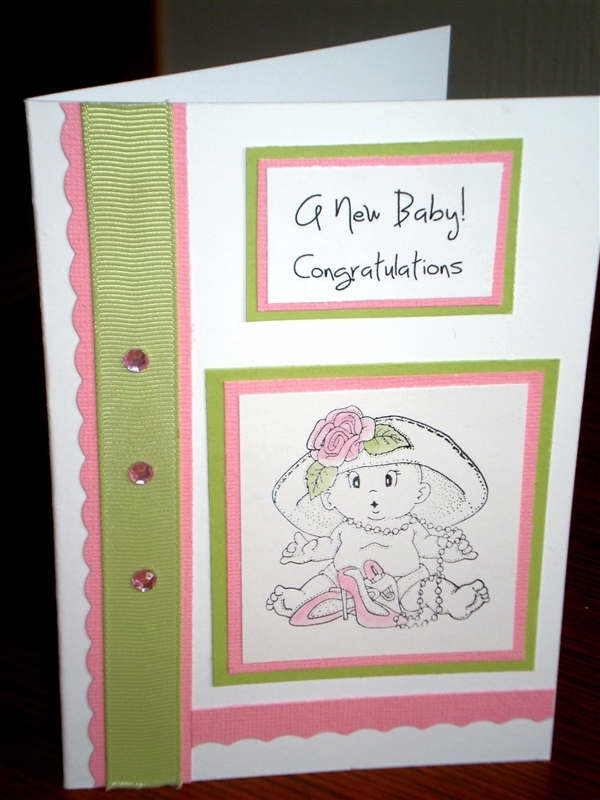 4) Adhere the white cardstock onto the top panel with a tape runner. 5) Using a decorative paper (here I have used the Reflections range) cut2 squares of 3 1/2 x 3 1/2 inches and adhere to the white cardstock with a tape runner. 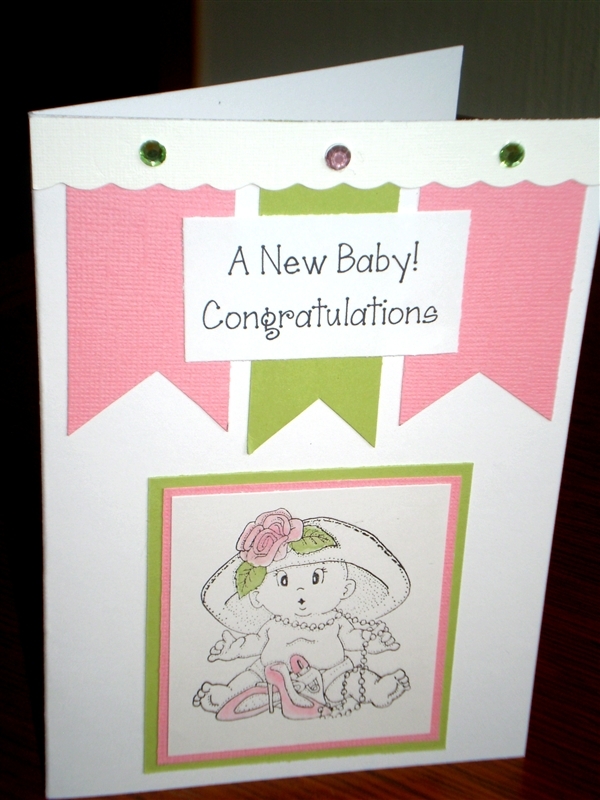 6) Decorate the front of the card with any embellishments. 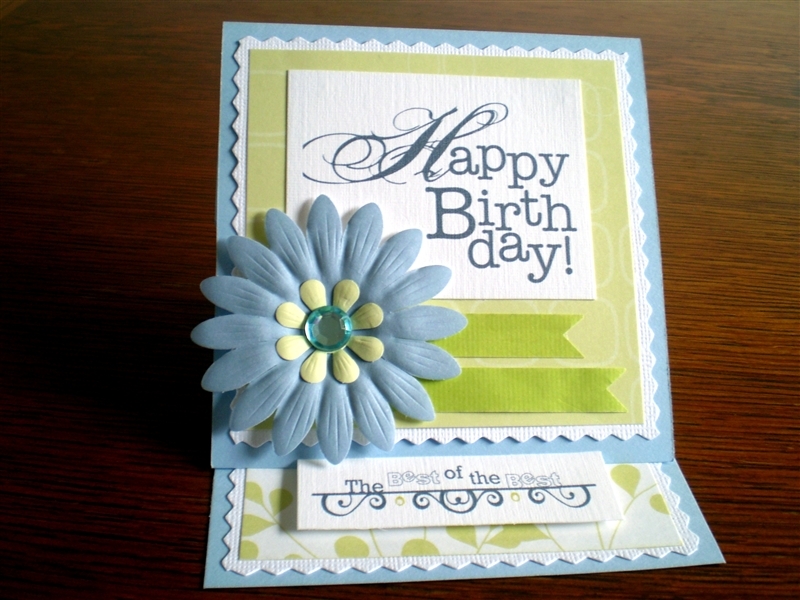 I have used the Reflections paper flowers and Enchanted epoxy stickers. 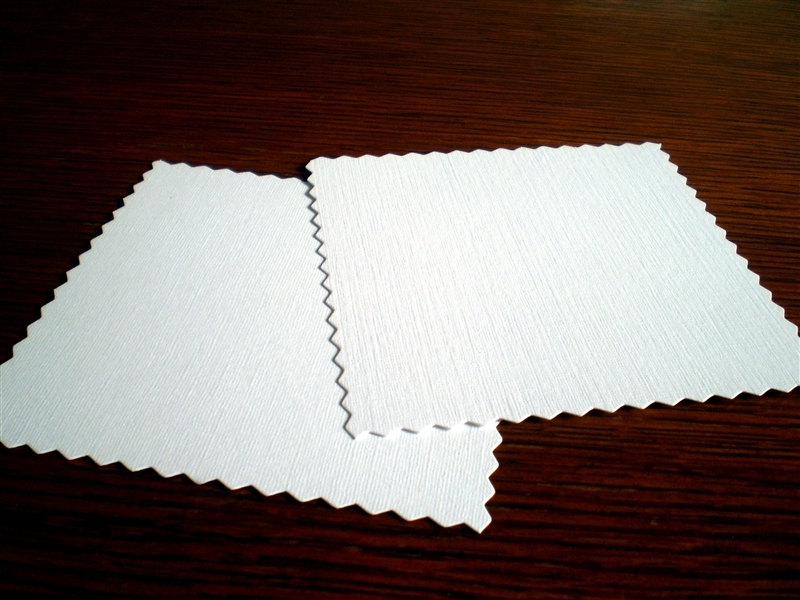 7) On the base panel adhere the second piece of white cardstock. 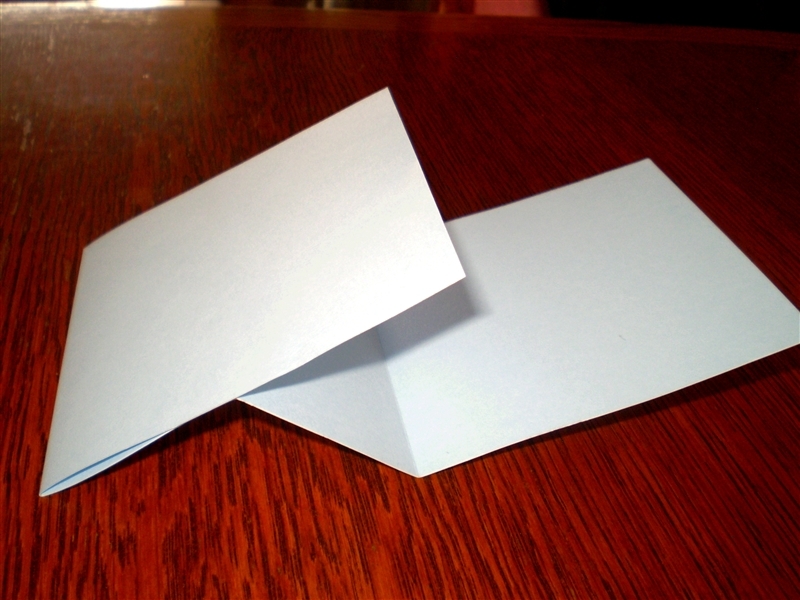 8) Adhere the second piece of decorative paper onto the white card. 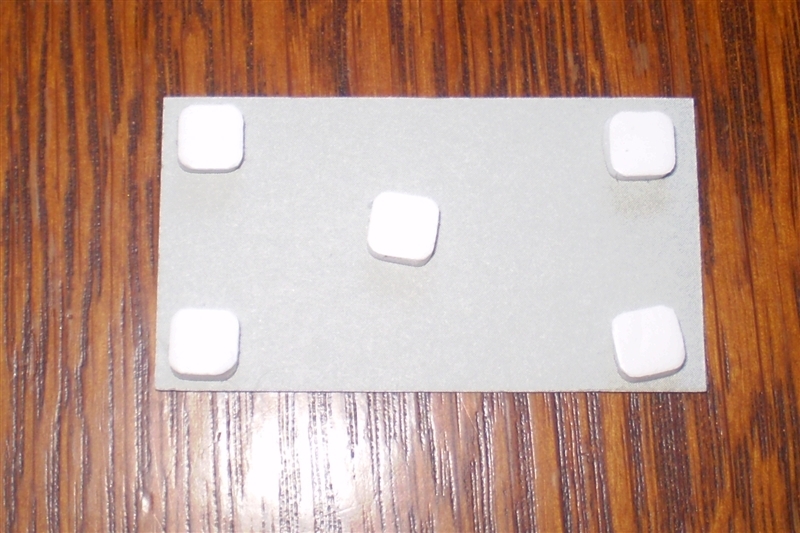 9) Create a shape (can be any shape) and using Foam adhesive squares put on the shape onto the bottom panel. This needs to be raised in order to provide a ledge for the top section to sit in place creating the easel. I have also used Storybook Creator 4 to do my sentiments etc and printed them off and cut them out. 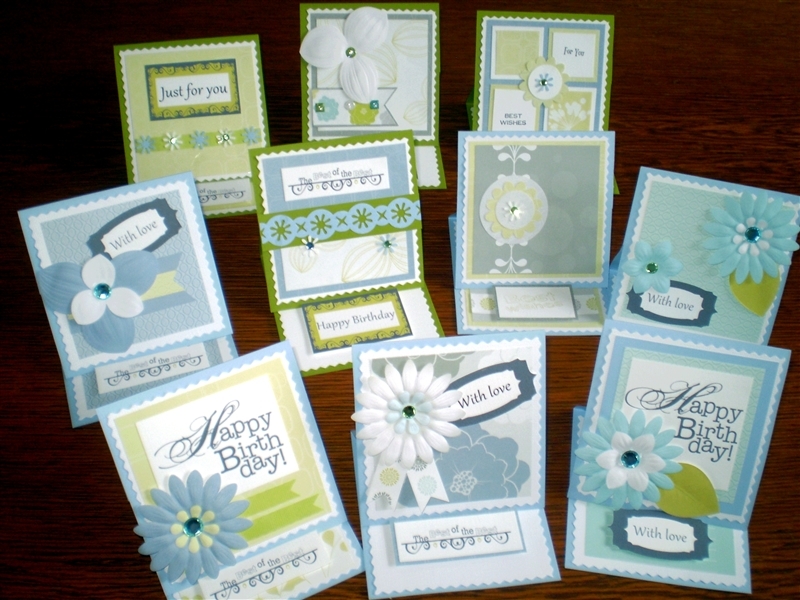 And here is a selection of cards that I have made. I hope you have found these instructions easy to follow. Please feel free to leave any comments or feedback. Here is another image that I have created on Storybook Creator 4. This one was very simple. 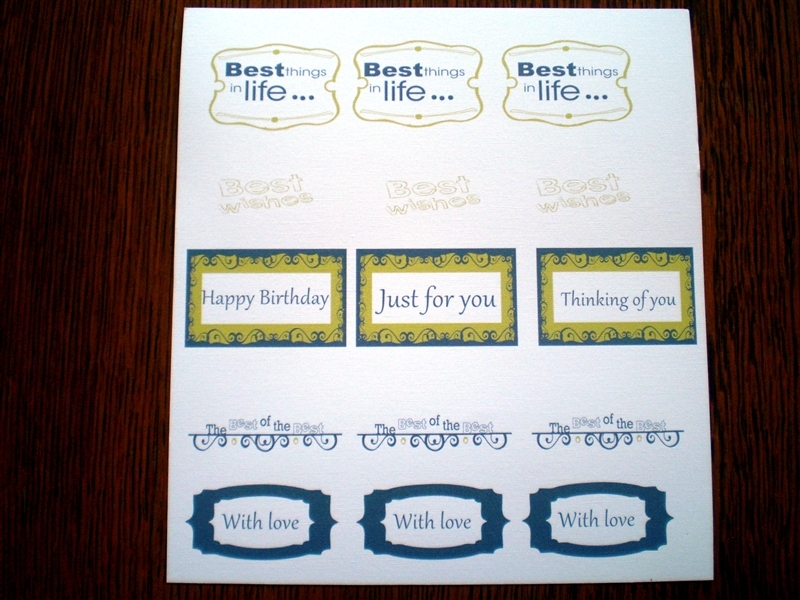 I made the background of the 6 x 4 card with two papers from the Just Fun digital kit that I got with my Storybook upgrade. I have used a zigzag stitch to join the seam. 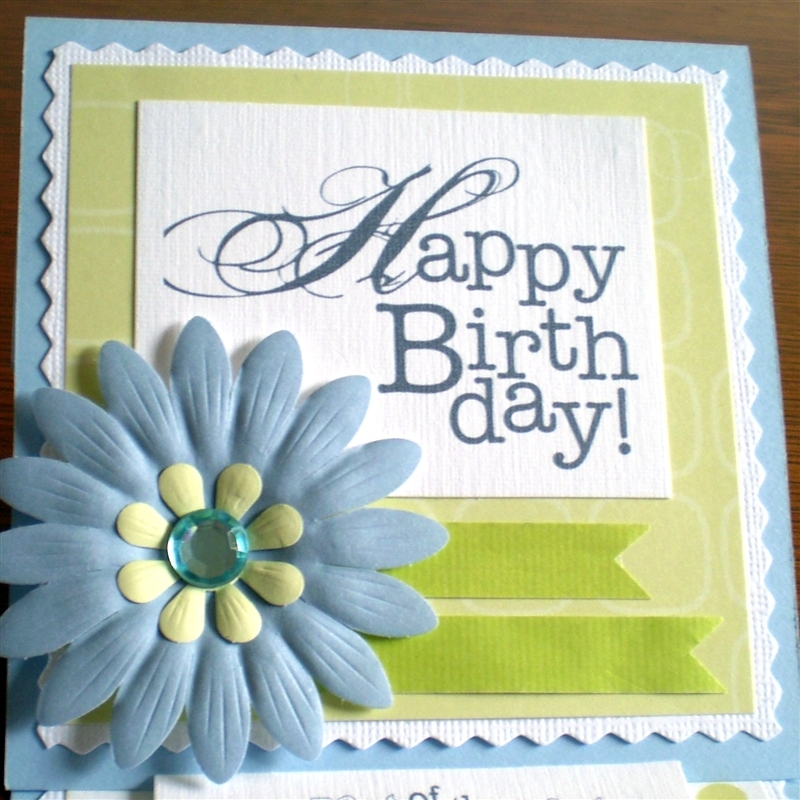 I have also put a Just fun embellishment flower and put a brad in the centre. I like to create a three-dimensional look by using the format ribbon and putting a shadow on the brad. 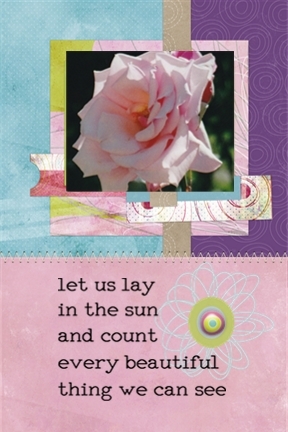 I have inserted a photo of a rose and then finally the sentiment also from the Just Fun digital kit. The Just Fun kit is so versatile and works well with all sorts of photos from children to flowers. I then got the photo printed off, trimmed and matted it onto card stock. Very simple and cheap to make. 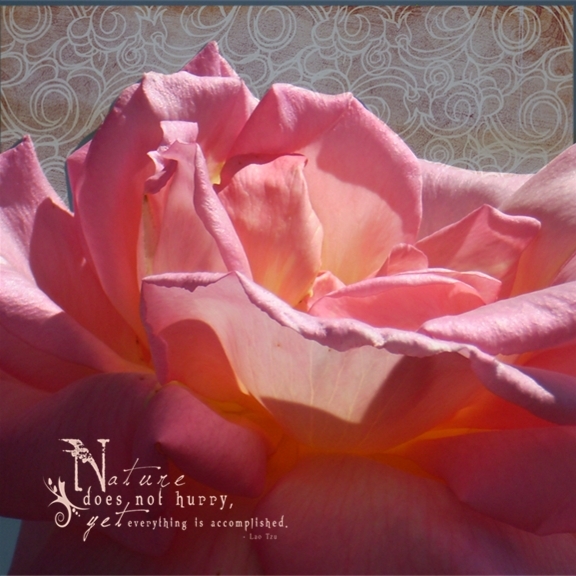 I have been wondering how I can make cards from my Storybook Creator and thought I might use some of my photos of flowers. 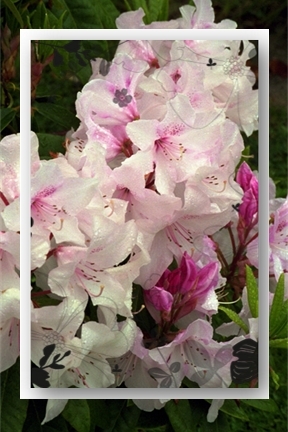 For this card I have placed a photo of rhododendrons on the background. I have then inserted an empty frame on top of the photo and then clicked and dragged an overlay from the Serene digital kit into the frame. I then matted this image and increased the relief to make the photo seem to pop out. I then printed this off as a 6 x 4 print, trimmed and matted it to make a card.